BREMEN, Germany—When designers at Airbus Group SE and Autodesk Inc. sat down to re-engineer a divider for jetliner cabins, they found inspiration at low altitude: slime molds and animal bones. 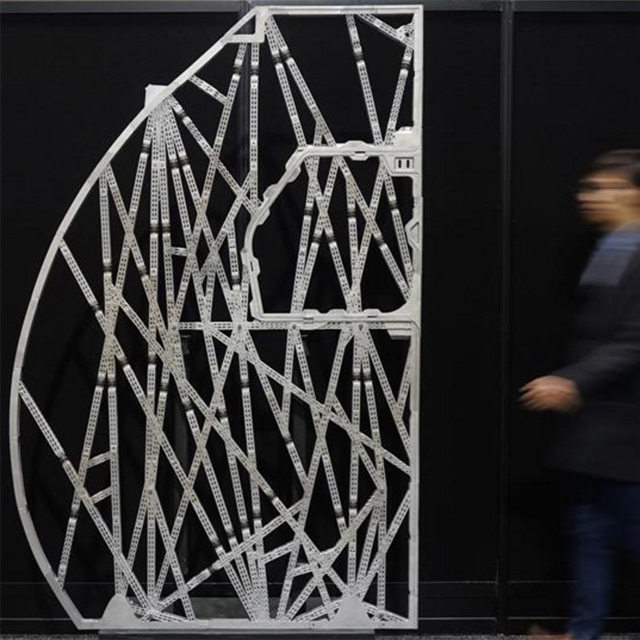 The European aviation giant wanted a lighter, 3-D-printed version of a partition mounted to a curved cabin wall that supports fold-down seats for flight attendants. The efficient way simple slime molds spread to seek food in forests and other places inspired designers, who eventually created a complex lattice of more than 60,000 tiny metal bars using a structure based on mammal bones. “It turned out it was a good way to solve the problem, even if you couldn’t care less about biology,” said David Benjamin, who led the Autodesk team. The final wall structure weighs about 80 pounds, less than half the partition it will replace. Airbus now is getting it certified for commercial use.